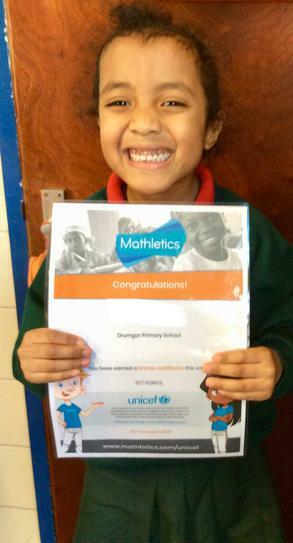 Mathletics is an online math programme that helps to develop, support and challenge children at their appropriate level. 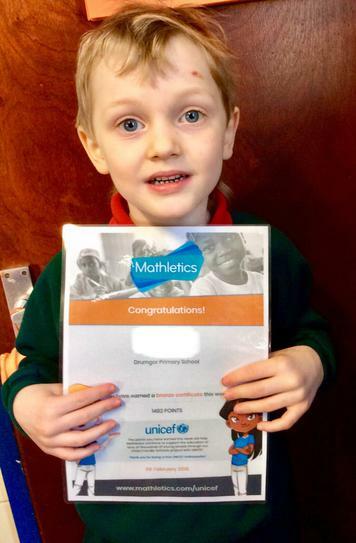 Each child in school has been given a log in and are working their way to accumulating many points to gain a certificate and then a special reward! 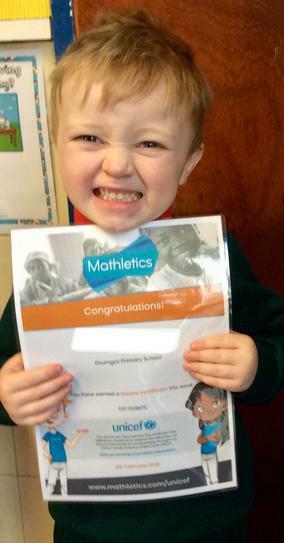 Children accumulate points each time they are logged on and completing an activity. 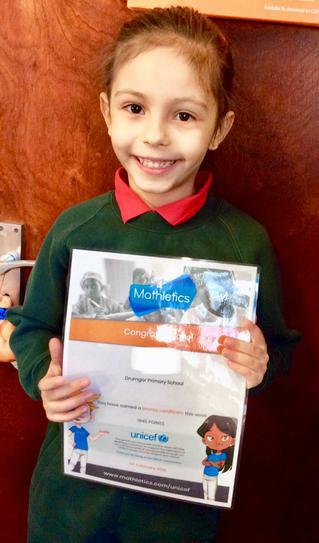 1000 points each week achieves a bronze certificate and 5 Bronze = a silver certificate. All those who earn a certificate are displayed on the ‘Mathletics Champions’ notice board at the office. 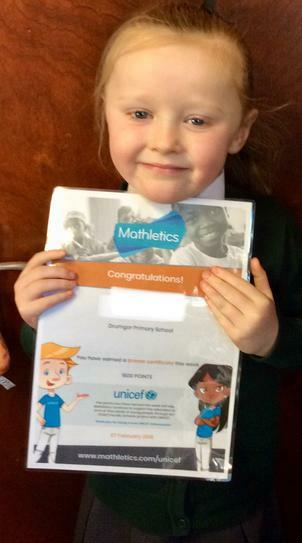 Primary 1 have been having a great time using Mathletics in school and at home and many have already gained certificates! 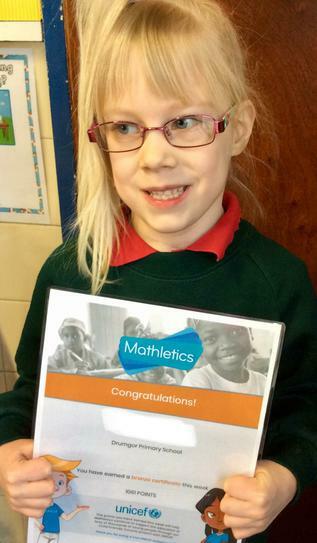 Our first Mathletics certificate winners! A huge achievement and some whopping points accumulated. Well done boys and girls.